This volume is the 3rd in a series of guides presenting standard and innovative usages of props, many of which are documented here for the first time. 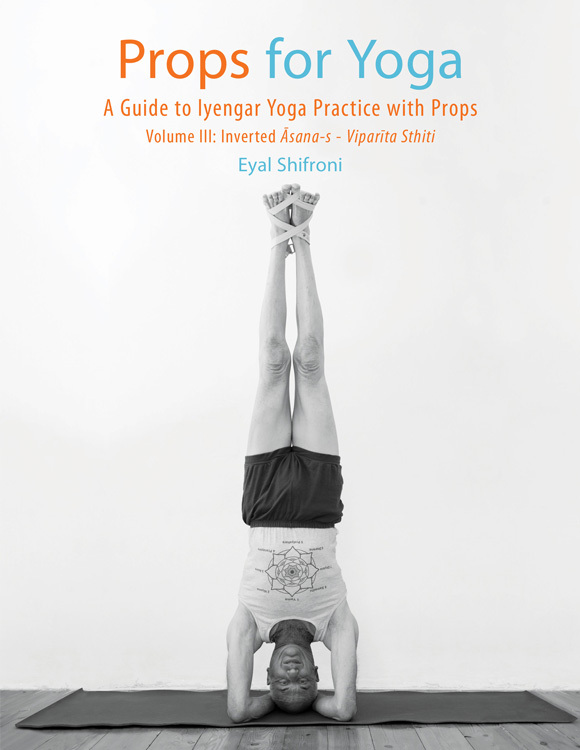 Following the success of A Chair for Yoga and the two first volumes of Props for Yoga, Eyal Shifroni has expanded his work to cover Inverted āsana-s. It is a practical guide, containing ample photos to accompany the step-by-step instructions on using props in the practice of Iyengar yoga.